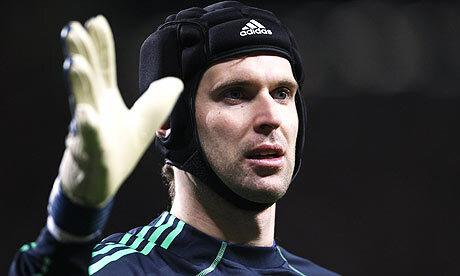 Chelsea goalkeeper Petr Cech has dismissed the rubbish rumours linking him with a shock move to arch rivals Arsenal. According to the recent speculations, Petr Cech is on top of Arsenal shopping list. Wenger is believed to be keen on strengthening his goalkeeping options and landing Cech is part of his plans. However the 30-year-old Czech international has ruled out rumours linking him with a move to Arsenal and revealed he “cannot even imagine” the prospect of playing for the Gunners. He said: “It is an interesting piece of news but it is such speculation that I think it’s not even necessary to comment on it. I know of nothing, nobody has contacted me and, to be honest, I can’t even imagine it. “I don’t even normally notice such rumours. But when it does get to me, I naturally look at it to know what to say about it later. There are players who do read newspapers. Some players read match reports to know what was written about them and where. I don’t do this, I don’t read newspapers because of such things. I don’t take rumours like this seriously,” he added.